Angela Kulig: Authors! Sign up now for the "Stocking Your E-Reader Sale"
Authors! 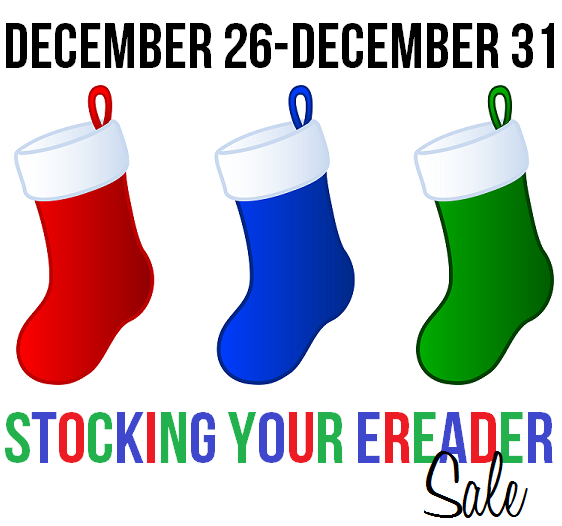 Sign up now for the "Stocking Your E-Reader Sale"
3. Must post sale information on your blog or website sometime during the sale. I have also simplified the sign up form! Ready to commit? Click here. Then leave a comment and let us know you're coming! Not an author? No worries! Make sure you check back after Christmas for awesome books, awesome prices, and fantastic giveaways! LOL You get a reminder email with graphics and such. I won't let you forget!